First things first: Happy New Year! I had resolved to taste more & post more this 2015, but look it’s already the 3rd and not one post since Christmas. Very tardy! So something quite different to start the blog off this year. Now we know that the gross majority of whisky sales are of blended whiskies. These whiskies are blended from whiskies of existing distilleries (of course) to fit a certain taste profile for the brand. It is the blender’s job to make sure Chivas 12 continues to taste like Chivas 12 batch after batch. Most of the output from distilleries feed the blenders. The whisky at hand is called Stratheden and it is a blended malt. 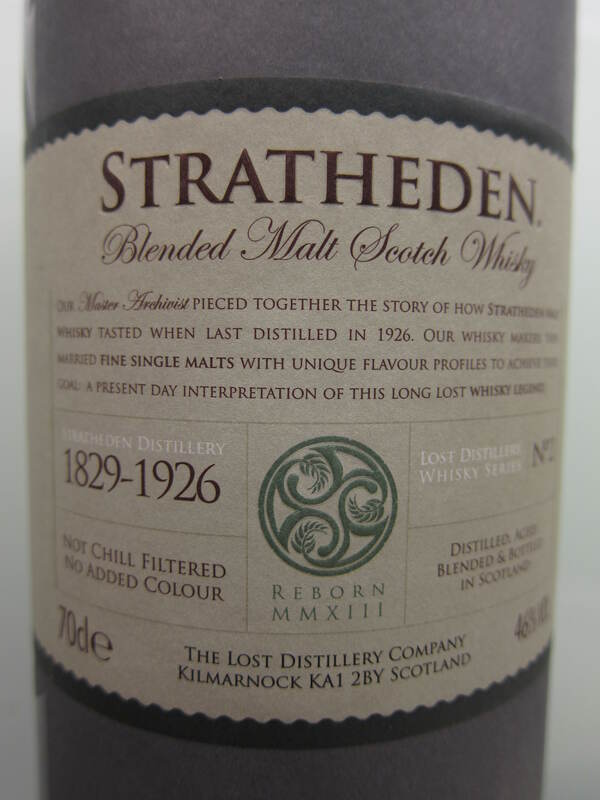 Stratheden itself was last operational in 1926, its closest modern neighbours are Daftmill, Strathearn and Tullibardine, so if it were around today, it would likely have been a lowlander marketing itself as a highlander? So, how ‘un-modern’ will this whisky be? Nose: Medium weight and quite pleasing with lots of outdoorsy scents: Cereal, new leather and a seed-like oiliness is followed by green pine needles and broken branches. Almost a tromp in the park, but it’s time for tea. Glaceéd cherries, raisins and whipped cream, and afternoon tea. There’s something very delectable in this. Palette: Sweeter now and quite a bit of this and that. Some malt, some fudge, some more leather, some tea, very juicy, some medicated camphor and quite some old wood – sandalwood?. It’s all well balanced and nothing overwhelms the others. The palette really does suggest a blend of malts here, but a good one with a number of sherry casks thrown in. Gets sappy and much hotter with more nutmeg and aniseed towards the finish. Finish: Medium and sweetish, plus a hot mulled wine flourish. I can’t guess what Stratheden might have tasted like, but for sure, this could be convincing. What I’m glad it doesn’t have: Heavy wood char and accompanying big prickly spices. Bananas and bourbon. Acetone and spiritiness. Instead what you get is a very well blended unrushed whisky with quite some un-modern traits, excellent I think for reminiscing those fonder moments of yesteryear. 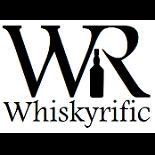 This entry was posted on January 4, 2015 by Whiskyrific in Stratheden and tagged Lost Distillery Company, Stratheden.